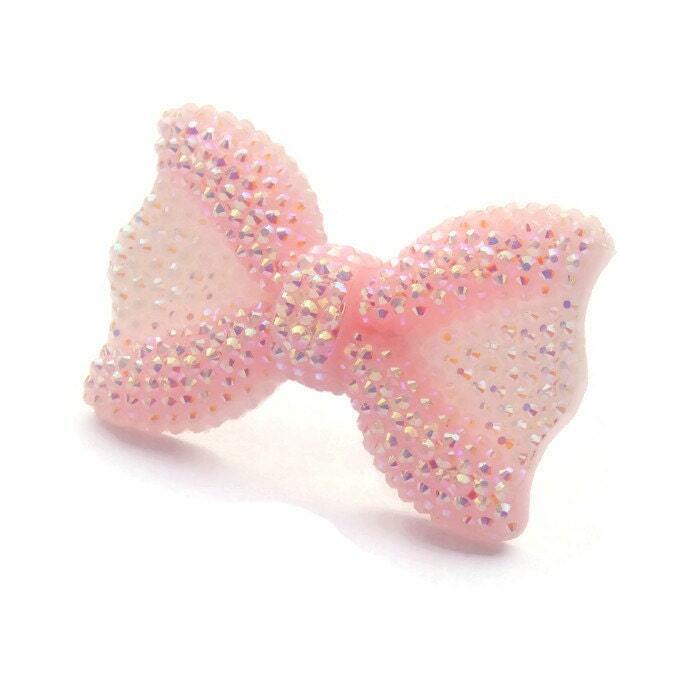 This gorgeous sparkly pink bow ring is huge at 44 mm. 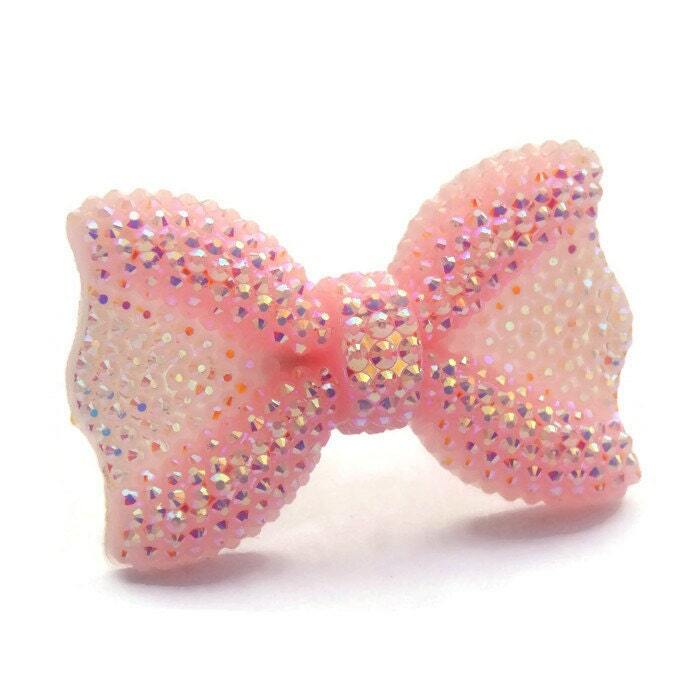 The bow is made of lightweight resin and made to look like it is covered in tiny rhinestones. The unique pink iridescent color changes and shines in the light. 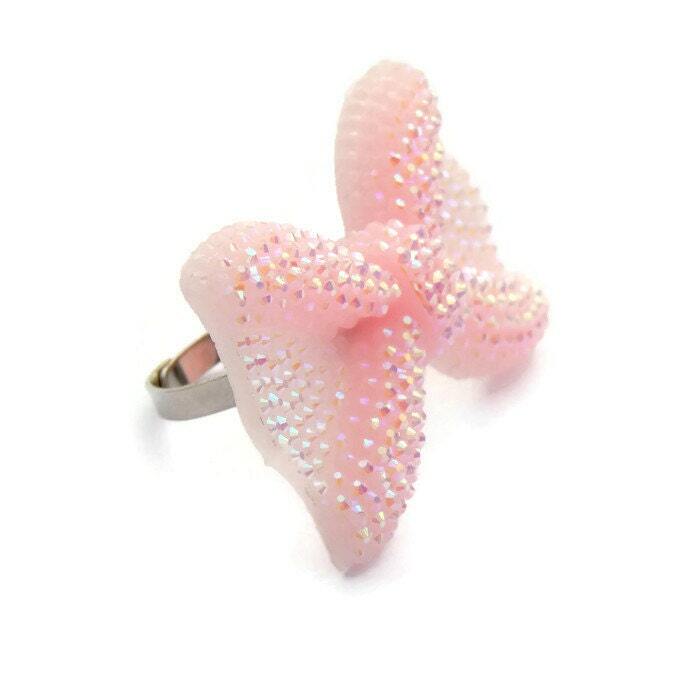 Definitely a statement ring, the large and yet feminine ring can be dressed up or down. The bow is backed by an adjustable silver plated ring back.